When: Saturday November 15th, 2014 from noon. Oxford Street: A symbolic funeral protest led by a horse-drawn hearse containing a coffin representing all the unknown victims who have lost or had their lives destroyed on Britain’s roads. Marble Arch: Mega Die-In around the coffin of the unknown victim and rally. 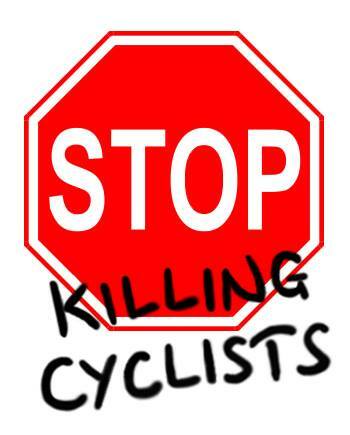 Cycling, Pedestrian, Climate Change and Medical Staff grassroots activists who are part of the Stop Killing Cyclists and Stop The Killing Coalition* are organising the first ever massive peaceful, dignified National Funeral of the Unknown Victim of Traffic Violence. The Facebook page for the event is at http://goo.gl/DX2l13 where we welcome people letting us know they wish to attend this dignified protest. “The staggering number of deaths and injuries resulting from motorised traffic over the last decade stands at 2,400,000 people! This horrifically equates to the combined populations of Birmingham, Glasgow, Manchester and Cardiff!! Hundreds of thousands more are suffering life-impairing terrible diseases. The National Funeral Protest will place 10 Demands calling for urgent action from local and national government – see details below. 4. The rally after the Mega Die-In under Marble Arch will include Medical Professor Brendan Delaney, Oxford Street Bus Victim Tom Kearney, HGV cyclist victim Bart Chan, Poet Helen Moore, Opera Singer Louisa Beard and Stop Killing Cyclists Co-founder Donnachadh McCarthy.